Since today is a holiday (in the US, Happy Independence Day, America!) 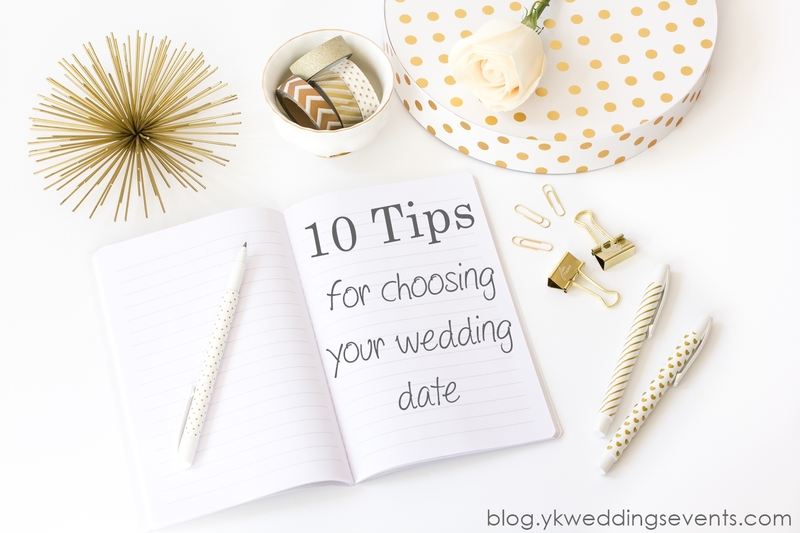 I thought this would be a great day to post some tips to keep in mind when choosing your wedding date. 1. Season. Think about whether you want to marry indoors or outdoors, on the beach, or at a hotel. Consider the style you want and then determine the right season for your wedding. 2. Your Budget. Yes certain dates/seasons will be more expensive. It is more expensive to marry in June than it is November. 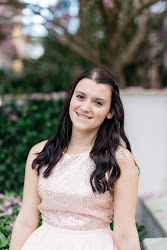 If you have a tight budget, you may want to think about marrying in the off season, also most venues have cheaper rates on "non- Saturdays" meaning weekdays, but keep in mind this may not work well due to the fact that many of your wedding guests work weekdays and may not be able to get the time off to attend your weekday wedding. 3. Destination. If your dream is to have a destination wedding you may want to know your chosen locales weather patterns before you commit. For example the Caribbeans hurricane seasons. Also keep in mind your guests flexibility; destination weddings are often smaller, intimate weddings however if you can't get your VIP guests there (like your grandparents) you may want to consider somewhere close to home. 4. Your Schedule. If you want to take a honeymoon right after your wedding, like most couples, be sure you are able to get enough time off to accommodate that. 5. Significant Dates. Numerically significant dates (think 11/12/13, and 12/13/14 etc) fill up fast and years in advance! 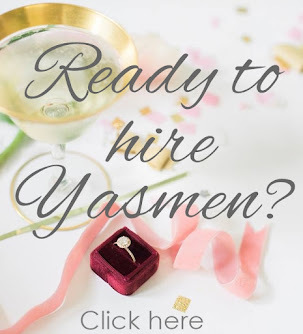 You can also marry on a date that is significant to you both, for example the date of your first date, or choose a date that is significant to your family, like your grandparents anniversary. 6. Venue Availability. If you have your heart set on a particular venue, you'll need to check their availability in advance. Many traditional venues are booked 12 to 18 months in advance, while other non traditional venues may be more flexible. 7. Guest Schedules. You'll want to pick a date that ensures all of your VIPs will be able to attend your wedding. Avoid choosing a date close to a big event date, else you may be competing for your guests who have to take time off work to travel. 8. Photographer Availability. Same as the venue (#6) if you have your heart set on a particular photographer, check their availability in advance. But be flexible, there are other amazing photographers out there if you can't nail down that particular one. 9. Health. If you, your spouse to be, or family members have any ongoing health issues, take that into consideration when choosing your wedding date. If you need to marry sooner rather than later to make sure your grandma will be there, do so to accommodate those who matter most to you. 10. And here is the big one; Holidays. There are pros and cons of marrying on or around a holiday, on the pro side for example if you marry around Christmas your family and friends may have already traveled home for the holidays therefore won't have extra expenses, on the pro side many families are busy around Christmas and venue, and food prices sky rocket.